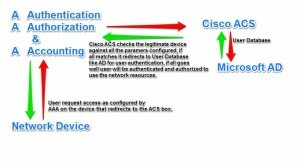 First of all, thank you for your post, it is so useful to someone post information about HP switches. I have a question that I hope you can solve me. Can you explain me (with an example, like this post), how I can configure RADIUS in HP A5500 SI? Please refer the AAA configuration section in PDF guide in the below url, Or if URL not working search Google for ” hp 5500 configuration guide” and hit the first or second PDF search result, you will get all you need.